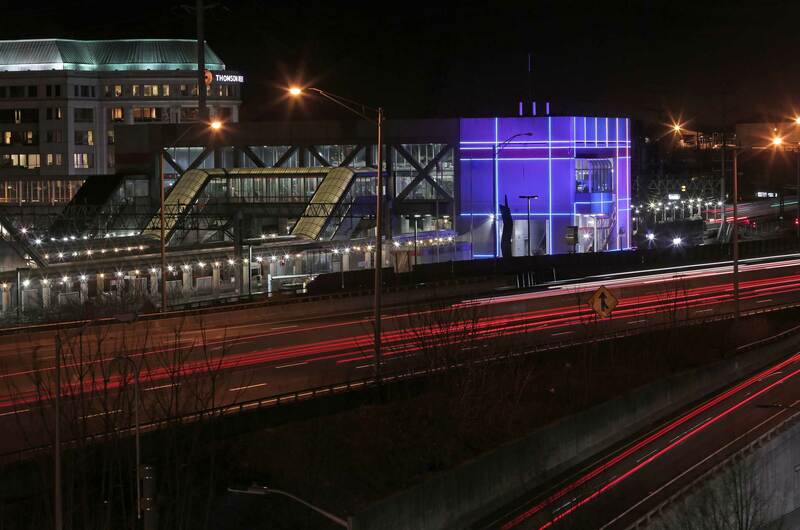 When the city of Stamford put forth a competition to brighten up an otherwise dreary train station; winning artist and designer Sandy Garnett choose Vivid RGB as his preferred medium. A key feature of the winning design was the decision to highlight the building’s features, rather than hide them. His group did that by mounting 1,275 feet of LED Neon Flex, which anchored their design inside the existing two-inch crevices that crisscross the exterior, ten down and six across.